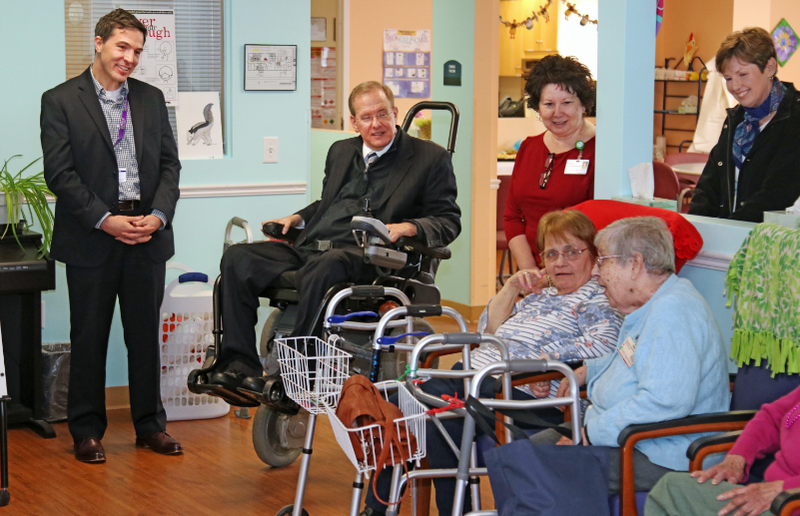 U.S. Rep. James Langevin, D-2nd District, and staff members toured the PACE/Adult Day Center of Westerly on Union Street on Friday. Jen Young, the director, offered insight into the center’s services. The PACE Organization of Rhode Island, which also has centers in Providence and Woonsocket, serves residents, 55 or older, who are able to live safely in the community at the time of enrollment and are in need of a clinical level of care. The Westerly center provides a safe environment for people who generally cannot be safely left at home during the day. It also provides caregiver respite. PACE derives its name from an abbreviation of Program of All-Inclusive Care for the Elderly.